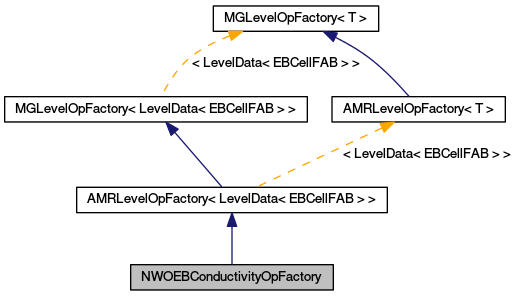 Factory class to generate NWOEBConductivityOps. This follows the AMRLevelOpFactory interface. Reset the coefficients for the conductivity operator (time-independent). Beginning-of-step (time-dependent) A multigrid coefficients. End-of-step (time-dependent) A multigrid coefficients. Constructs a factory that builds NWOEBConductivityOps with time-independent A and B coefficients.